the mark, and she certainly didn't in the 600th review on SPC. SuperPhillip Central saw nine new reviews posted in the usually quiet summer month of July. Things kicked off with a return to the world of Castle of Illusion with Castle of Illusion Starring Mickey Mouse, a remake of the Genesis classic. It earned a B. Then we went old school with a retro review of Mega Man 8, busting Dr. Wily's robots and getting a B+ in the process. 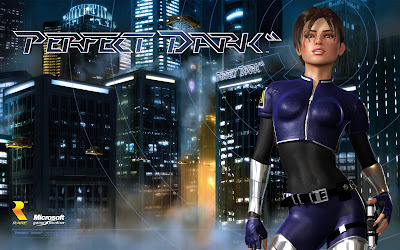 The game of the month, and also SuperPhillip Central's 600th review, Perfect Dark shot and scoped its way to an A. Next, we went a bit wacky with Rayman and friends with the Vita version of Rayman Legends (B). Following Rayman was another platformer, Giana Sisters: Twisted Dreams. Its busy art style led to a lot of cheap deaths, leading me to give the game a C+ score. Then two Wii U eShop games were reviewed, Tiny Galaxy and Canvaleon. The games earned a D and a C- respectively. 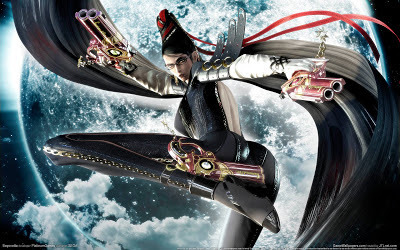 Finally, the other big woman spotlighted this month of reviews, Bayonetta, earned herself a respectable B, and Mercenaries Saga 2: Order of the Silver Eagle surprised with a B+. August is going to have a bunch reviews for it as well. Will we reach nine? That's the plan at least! delivered fun in every "witch" way.